Investigators are digging into what happened to the ill-fated Lion Air 737 that crashed in the Java Sea and presumably killed all 189 people on board. Tonight as the search continues for clues in the mystery of what happened to lion air flight 610, a new development. 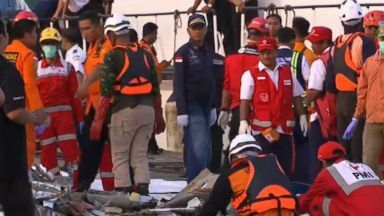 Indonesian authorities confirming that the black box retrieved yesterday is in fact the flight data recorder from the missing flight that killed all 189 souls on board. As divers work to locate the second black box, investigators hoping the black box they do have will provide answer. The flight data recorder and the cockpit voice recorder, once they're read out and examined, that provides all the information necessary to put together the complete picture of what happened to this airplane. The tragedy unfolding Monday morning, a little after 6:00 A.M. Local time. The pilot radioed the tower shortly after takeoff to request to return to the airport. But just shortly after takeoff, the doomed airliner loses contact, plunging into the java sea, killing everyone on board, including two infants. This shows the flight path. It stopped sending locating signals. It was straight level at 5,000 feet for almost eight or nine minutes. All of a sudden there was a quick descent and it disappears off radar. Reporter: Search crews have found scattered personal effects, ids, shoes and life vests. Some up to two miles away from the crash site. Pieces of the brand-new 737 pulled from the waters off Indonesia. In the aftermath of the crash. Families rushed to the airport to learn news about their loved ones' fate. This chilling video shot by a passenger just as he was boarding lion air 610. A glimpse of the boarding pass and a glimpse of the plane itself about an hour before it went down. This woman told my colleague Bob woodruff she is praying he will be found. He met family members still hoping for a miracle. This man's twin was on that flight. He says he and two others took a different plane, while the three in the middle, he fears were lost on flight 610. Earlier this week, disturbing allegations about technical problems with that same plane the day before its final flight. Today Indonesia's national safety committee says they've already interviewed the pilots from that flight. There were reports of technical problems on the new Boeing 737 but said they had been resolved prior to the fateful flight. The Indonesian investigators appear to be focussing on the technical issue on the flight the day before the crash and whether or not it may have been a contributing factor. 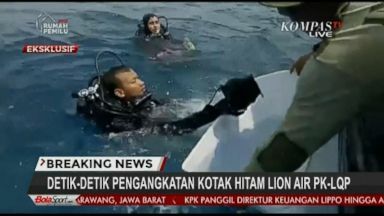 But this isn't the first time a lion air flight has come into question. One overshot the airport and went into the sea. And another one crashed into a cemetery, killing 25. Indonesian airlines were not allowed to fly in the U.S. Because they did not meet international safety standards from April of 2007 until the ban was lifted in August 2016. Airlines in this world do not have the stellar reputation in terms of safety. They're working on it. Reporter: The brand-new 737 had been delivered to the low-cost Indonesian airline in August. When you have an aircraft this new, it's curious, it makes you wonder, is it a one-of event? Or is this an event that occurred because of something that happened after the airplane was delivered. Reporter: One of the most recent versions of the 737, the max 8 is the fastest selling. Both southwest and American airlines have the same plane in their fleets. Boeing stock dropped7% after news of the crash. The aircraft manufacturer issuing a statement saying the Boeing company is deeply saddened by the loss of lion air flight 610, adding that the company is providing technical assistance at the request and under the direction of government authorities investigating the accident. It has over 400 channels of information about flight controls and what the airplane was doing and the cockpit voice recorder. Reporter: So why did the nearly brand-new 737 crash into the sea? This chunk of orange-painted metal may have the answer. As my colleague David Kerley learned at the NTSB in Washington, putting that part of the box in water is standard procedure. You want it in water. Right, we want it in water. When we recover it, we will submerge it in water to keep the electronics from essentially oxidizing or rusting and we flush it with freshwater. But even the saltwater, if it's gotten to it, you can still recover data? Sure. We've been very successful. It's heavy. Because it's such a thick-walled structure. That's right. Because it needs to be able to sustain incredible impact loads. That with the pinger attached is the most important part. It's put on a host chassis so the data can be read out. As basic as they are, that's good? You can get a lot of data from these? We almost always get data. They're incredible the way they survive an accident. We're almost always successful in retrieving the data. In the tragic German wings crash the battered black box revealed the haunting truth. That tragedy, which killed all 150 passengers on board was apparently no accident. Recovered data shows when the pilot left the cockpit, the co-pilot deliberately crashed the plane into the mountains as an act of suicide. And in 2009, air France 447 departed Rio de Janeiro but the plane never made it, losing touch three and a half hours into the flight. After searching for two years, and investing $50 million, French investigators called Mike Purcell and his team who deployed their robot into the atlantic. We knew immediately that we had found the airplane. Reporter: The robot returned with these photos. Parts of the plane fuselage, other small parts and the galley. They also came back with something else. Some human remains, definitely put the focus on that this was a real tragedy and a lot of people had lost their lives. 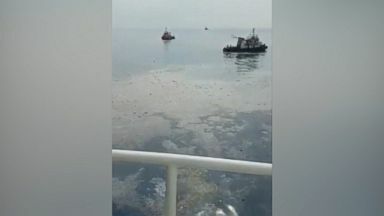 Reporter: Purcell's team also found the black boxes still pinging and able to reveal pilot error as the reason behind the crash after two years in the water. Less than a week after the Indonesia crash, investigators are still looking for the second black box, hoping it, too, will lead them to more answers. 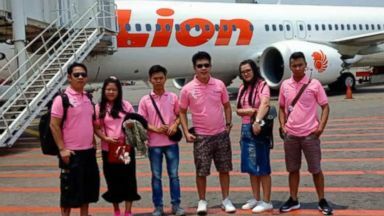 Search and rescue officials said they lost contact with Lion Air flight JT610 minutes after it left Jakarta, the country's capital. Divers recovered the data recorder, the first of two black boxes from the passenger flight that crashed off the coast of Indonesia just after takeoff. Crash likely killed all 189 people on board: Officials.